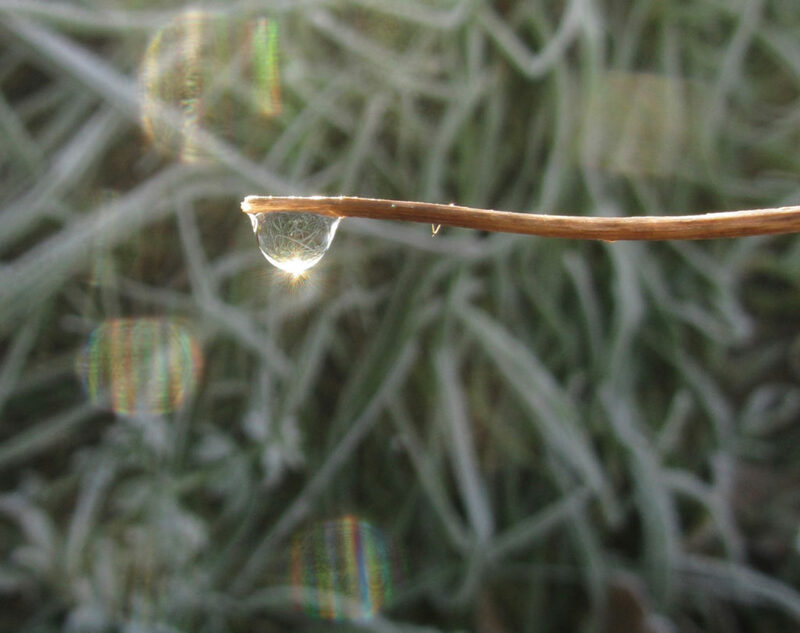 In this New Year Newsletter, we welcome you to England’s first temporary Bhikkhuni Residence, explain how you can participate in the lunch offering and fledgling monastery life with Ven Canda, as well as share the first video uploads from Ajahn Brahm’s amazing 2018 December tour. When I took refuge in Ajahn Chah as my teacher in January 1975, I made a vow never to ask to go anywhere. I would only come or go following Ajahn Chah’s instruction. In May 1983, Ajahn Chah sent me to Perth to help establish a forest monastery in Australia. A month or two after I arrived in Australia, Ajahn Chah had a stroke, was unable to speak or give any more instructions. So, keeping to my vow, I have been stuck in Perth ever since! In those years, I have helped build a huge forest monastery, Bodhinyana, with 30 monks, a comfortable meditation centre and a beautiful monastery for Bhikkhunis called Dhammasara. The Dhammasara Nuns Monastery is situated in 583 acres of beautiful forest, 70 Km distant from Bodhinyana but only 45 minutes from Perth City. It currently has a Sangha of 11 fully ordained Bhikkhunis and 3 Samaneris. However, I was born in England, educated in England and learnt my first Dhamma and Meditation in England. Currently, there is no monastery for fully ordained nuns, Bhikkhunis, in the land of my birth. I feel a responsibility, an ethical need, to work as much as I am able to establish the first Buddhist Monastery for Bhikkhunis in a country which nurtured my early Buddhist path. The Buddha had intended to establish the Fourfold Assembly of Bhikkhus, Bhikkhunis, male Upasikas and female Upasikas, from the very beginning of His dispensation saying to Mara that he would only pass away when these four groups were well established. Unfortunately, the Bhikkhuni Sangha was lost for a long time in Theravada. 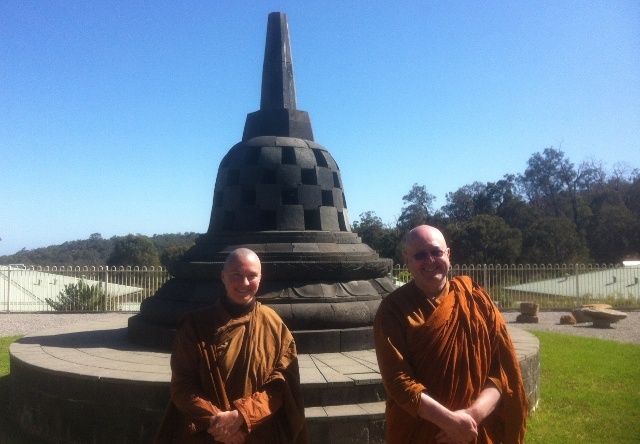 I have done a little to re-establish the Bhikkhuni Sangha in Australia. It has been successful beyond what I thought possible. There is a waiting list of candidates who want to renounce as Bhikkhunis and follow the path in its fullness that the Buddha had opened up for women. There are few English Bhikkhunis and they reside overseas. 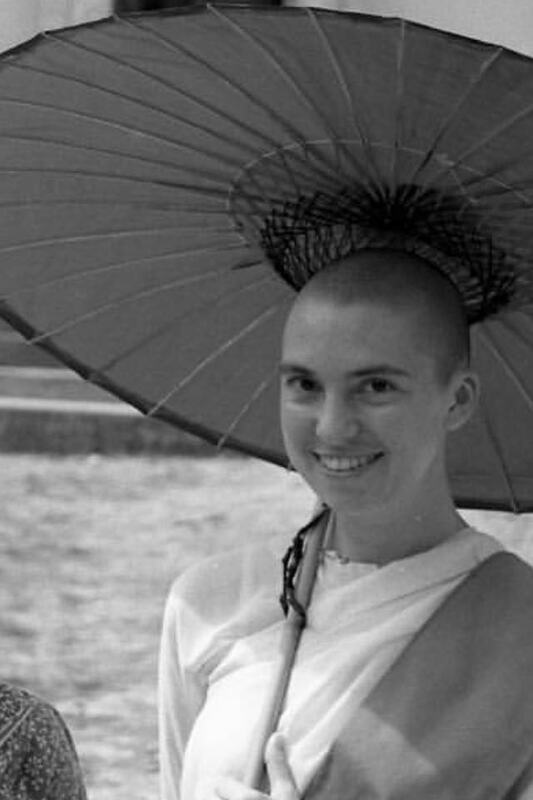 There are many women from England (and other European countries) who aspire to Bhikkhuni ordination. However, even though there are many monasteries for monks, there are no monasteries at all in England for Bhikkhunis. I find this unacceptable. I am doing something about it but I need your help. There is a fine English Bhikkhuni, Ven. Candavisuddhi, who has already sacrificed so much to wander homeless through England, teaching at Buddhist Centres and groups and retreat centres but with no residence to grow a Sangha of Bhikkhunis. She is like a skilled gardener waiting for a garden. 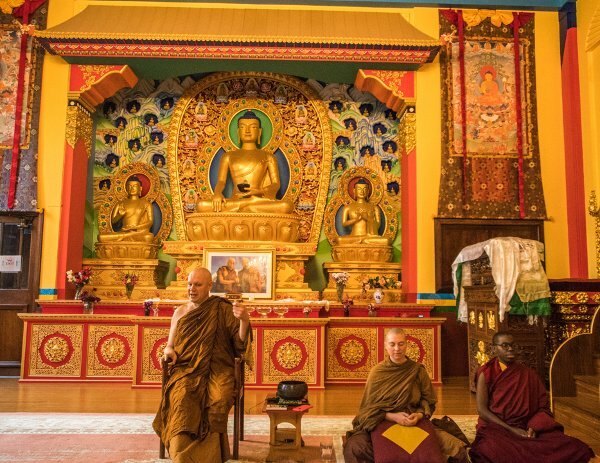 My teacher, Ajahn Brahm, and I founded Anukampa Bhikkhuni Project to strengthen Buddhism by growing the sangha of bhikkhunis – or fully ordained female monastics – on UK soil. We aspire to establish a Forest Monastery in England and so make the authentic teachings of early Buddhism accessible and the liberating potential of the bhikkhuni way of life available for women today. The project’s name captures these objectives: Anukampa means empathic compassion which acts wisely to alleviate suffering. Ajahn Brahm will be coming to teach in December in support of this aim- his third such visit. A much-loved meditation master, his retreat booked up within two days! We also organised a July retreat with exemplary scholar-practitioner Ajahn Brahmali, elucidating the whole of the Noble Eight-fold Path. The Buddhist Society have also graciously hosted both teachers on our behalf and we greatly value their support. You may wonder what led me to undertake a project of such enormity. Well, I think it lay as something of an inevitability on the path of renunciation that brought me here. As to why I first chose this way, I could suggest the inner-stirrings of a spiritual path arose in me as a grumpy, rebellious teenager or perhaps as a nineteen-year-old traveller to India on a one-way ticket; but no: in a more undefinable sense, the Buddhist path chose me. By fifteen, my hometown felt confining. International news of devastating violence and abject poverty troubled me greatly, feeding existential angst. I decided to travel through a sense of urgency to discover why we suffer and inflict so much harm upon each other. I also intuited that by stepping aside from societal and cultural expectations, I might discover the meaning of my life and a compassionate response. After nearly two years of incredible yet ultimately wearying adventures throughout Asia, I embarked on the journey of my life – to my inner world. As mindfulness revealed the changing, impersonal nature of phenomena, grasping seemed increasingly futile, whereas calmly observing things passing like fleeting winds in the sky, bestowed equanimity and peace. I knew I had found my purpose in life- a Path to end suffering and experience lasting peace- and what an enormous relief! Thoroughly inspired, I attended and volunteered service on scores of retreats throughout Asia and beyond, and nothing beat the satisfaction of seeing others’ lives transformed. As confidence in the Buddha grew, I sensed I could go deeper and help others more profoundly by renouncing as a nun. I finally found an opportunity ten years after that first retreat, in swelteringly hot rural Burma. There was no electricity nor a paved road for the two-mile approach from the poor neighbouring village, to which our monks walked barefoot daily for alms. Even so, practice conditions were in place: Noble Teacher, simple food, tatami sleeping mat and roof. The teachings were in Burmese, so I would take my cassette recordings to the one English-speaking monk, who would help transcribe and decipher their meaning. Through this arduous method, I came to understand all instructions and around half of the daily Dhamma talk. I felt utterly supported by a teacher who clearly understood my mind; my meditation progressed and I resolved never to leave. Blessings can come in heavy disguise! Four years in and the climate, food and intestinal parasites had made me seriously ill and my practice plateaued. Fortuitously, this coincided with discovering the rains retreat teachings given by Ajahn Brahm, on a CD player in my hut. It was exhilarating to hear profound Dhamma in English from someone who understood western cultural conditioning and I resonated instantly with Ajahn’s emphasis on kindness, letting go and the happiness of peace. A subtle mental shift, from passively observing the causes of suffering to inclining toward the causes for bliss, opened up new areas of practice. On a leap of faith, in 2010, I left Burma to seek his guidance. For two years, I lived a peripatetic life in Europe. Kind friends and various monasteries generously offered temporary shelter, enabling me to survive short-term in robes, but some Theravada Buddhists considered my ordination inferior to that of monks and this isolated me from community and longer-term support. My heart leapt to hear full ordination was possible in modern times and that it might be possible for me! Eventually, in 2012, I had a chance to visit Ajahn at his home monastery in Perth and ordained as a bhikkhuni in 2014. In the ceremony, I felt literally “lifted up out of compassion,” (as the chanting goes), by an international Sangha of bhikkhus and bhikkhunis dating back to the Buddha. Along with three fellow ordainees, the Sangha exhorted me to make use of this precious, hard-won opportunity for nothing short of full liberation. 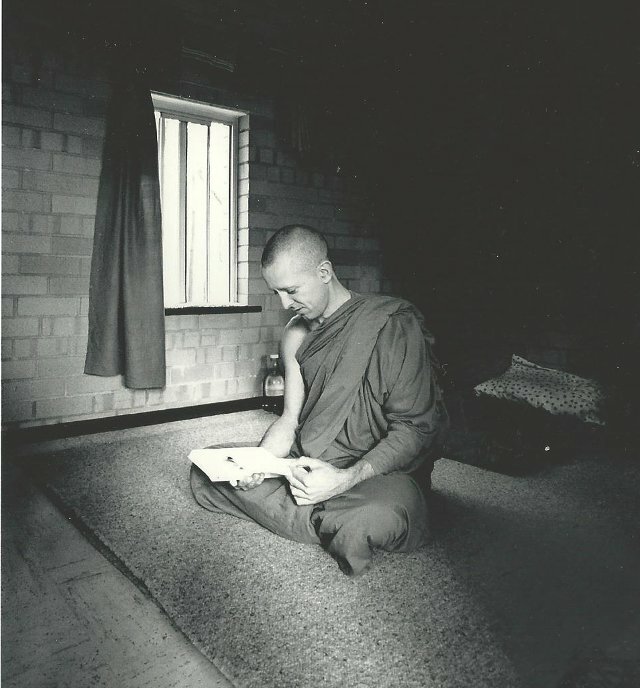 I was residing at Dhammasara Monastery, one of a small handful of bhikkhuni monastery’s in the western world, when Ajahn Brahm suggested we start a new monastery in England. I did not know where to begin, but when he committed to being a trustee and teaching to help raise funds, people started coming on-board. My first-hand knowledge of the struggle surviving as a nun entails motivated me- and I also knew many exemplary nuns who had disrobed or left their monastery to seek higher ordination overseas. I have now been working without a base or handling money (figure that one out! ), for nearly three years. There are many steep learning curves ahead but inexpressible gratitude for the teachings I have received and for Ajahn Brahm’s steadfast support injects joy into every step. I still join long solitary retreats yearly in Perth and feel additionally privileged to serve Anukampa so future generations may have an easier ride. 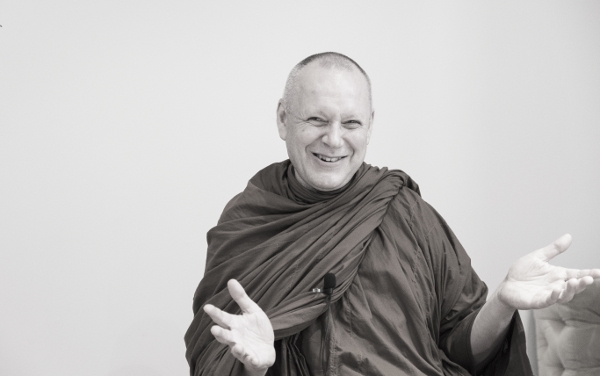 Ajahn Brahm’s first teaching tour in 2016 reached over a thousand and elicited great interest in our monastery aim. Our volunteer team worked tirelessly to ensure a smooth flow of events. Attendees included people around the world who were profoundly touched by wise teachings delivered with humour and warmth. Soon afterwards, a substantial anonymous donation brought our aspiration within reach. Since then, Ajahn has delivered a second, similarly far-reaching and inspiring tour. I have also been teaching at numerous Buddhist societies and groups and it is gratifying to see spiritual friendships blossoming among our supporters. We now need more managerial and administrative help to organise high-quality retreats and manage our growing team of volunteers. We also need a lawyer for our Trust and a web-content manager. Fund-raising initiatives are always welcome, too. After Ajahn Brahm’s upcoming December tour, the search will be on for a three-bedroom flat (possibly in rural Devon), from where I will visit London monthly for teaching and project meetings. The flat would accommodate me and an overnight guest, caretaker or monastic aspirant, and welcome day visitors to offer the midday meal. A decent sized reception area would enable us to host regular meditation and Dhamma sessions for women and men alike, until we are ready to expand. As we endeavour to bring this vision to life, I am filled with gratitude for the inspiration, guidance and support of the Buddha, my teachers and fellow bhikkhunis; and meditators everywhere who give their whole heart to the practice, gently, authentically and with great courage and love. 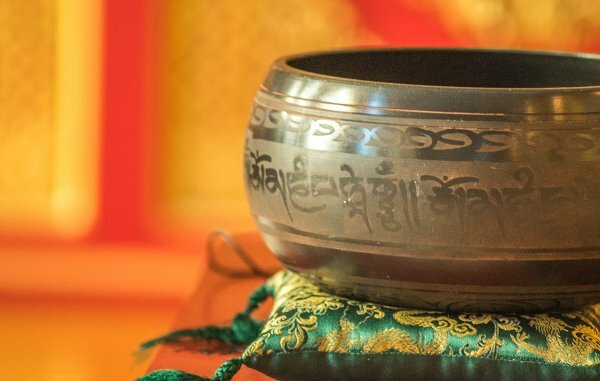 In our latest newsletter here, we reflect on the elucidating journey into the suttas we have just travelled with Ajahn Brahmali in Derbyshire and open bookings for Ajahn Brahm’s London and Oxford talks in December! We share many video and audio recordings as well as an exciting update on our progress towards Anukampa’s monastery aim, by discussing decisions formed on the back of our mini-monastery toe-dip in Lyme Regis! We hope you enjoy reading this as much as we enjoyed writing it, to share our news with you. It has been a huge privilege to host Ajahn Brahmali in England and he left us all on a wholesome high! The remarkable tour was pretty packed yet Ajahn was on top form, delivering intellectually lucid, spiritually rousing teachings directly based on the suttas. He brought us nearer to the Buddha as our principle Teacher, by carefully drawing out the meaning, implication and practical application of many subtle nuances one could easily miss, as though spreading wide an intricately woven embroidered cloth to examine its beauty more closely. Of particular poignancy for me (Ven Candā) was having two distinct parts of my life brought together by retreating in my home county of Derbyshire and having lunch offered to me and Ajahn by my parents- at my childhood home! One of the beautiful aspects of mental cultivation that really stood out on “The Gradual Training To Lasting Joy” retreat, was the often neglected teaching on wise reflection, as part of right effort to undermine the hindrances. For instance, a powerful means to overcome anger or resentment is to deliberately focus on a person’s good qualities, rather than dwell on aspects of behaviour that irritate, just as one would move aside algae from a pond, to uncover pure water for quenching one’s thirst, beneath (AN 5: 162). Repeatedly reflecting in this way builds a storehouse of positive perceptions, which are then at hand to counter those perceptions giving rise to anger, before it obscures the mind. Additionally, by reminding ourselves of our conditioned, changeable nature, we begin to understand there is nothing essential or inherent in a person to be angry with and harbouring hate only hampers our spiritual development. Practicing such right effort- off the cushion- helps remove the coarser obstacles to meditation, so that by the time we sit down our heart is relatively calm. With proper preparation, the job that remains is to simply allow the breath to enter and gladden the mind. The last evening Q&A session of this glorious retreat turned into an outpouring of gratitude. It was deeply satisfying to learn how much benefit people gained from delving into the suttas in a meditative context and many expressed a renewed commitment to taking them forward into all aspects of daily life. “Finding True Freedom” was an exceptional talk to end the tour. One participant later wrote, “I would not have missed it for the world. Right from the get-go my feeling was that it was like sitting in an incredible field of love.” On that last evening back in London, I felt particularly moved on noticing how many spiritual companions associated with Anukampa were present- especially as I knew no one less than three years ago! When asked for an update on our progress at the end, I said THIS GATHERING- implying all the spiritual friendship, goodness and dedication among us- IS the monastery (so far). The bricks and mortar will simply build on that. Words fall short of expressing the depth of gratitude I’m sure many of us feel towards Ajahn Brahmali, for joyfully imparting his vast knowledge and understanding of the Buddha’s teachings and supporting Anukampa’s aim. Special thanks also to Bodhinyana Singapore who intend to sponsor hire expenses to boost our fundraising efforts; Sheffield Insight Meditation for loaning cushions and mats; Brentwood Buddhist Society for creating beautiful quote books that were distributed at the events; Cristo and Rudite for video/audio recordings respectively; Matteo and Winne for photography; and all other volunteers who helped make this tour such a resounding success! We aim to get the entire set of retreat recordings with you by next week, but the first recordings are already available on our Youtube Channel.